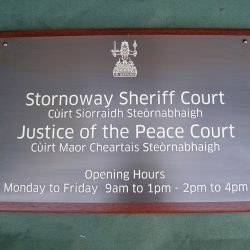 Our Bronze business signs are made bespoke to order using a high quality 3mm thick aged bronze. White and cream are the best fill colours for this metal to contrast the dark background. 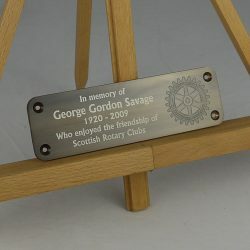 There is also the option for reverse etching where we etch away the background leaving the letters standing proud. 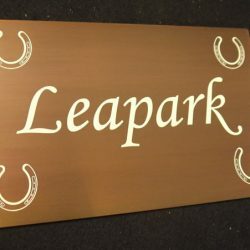 This product is the premium material for house signs and requires no maintenance. We patinate the bronze to a dark colour which ages beautifully over time. 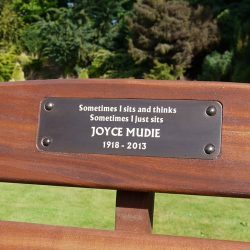 Our bronze plates, made to measure for you, using 3mm thick quality bronze and, we advise, either a cream or white infill will give you a low maintenance, enduring remembrance of a special person or occasion. We use a high quality 3mm thick aged bronze. 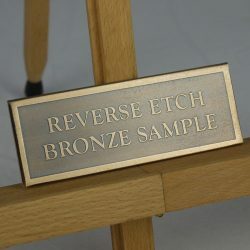 We use a premium material for our bronze house signs and it requires no maintenance. We patinate the bronze to a dark colour which ages beautifully over time. 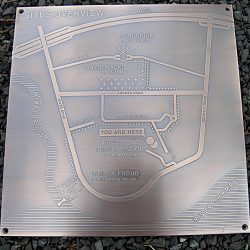 Unlike other manufacturers, we place no limit to the amount of text you choose, and you will receive a free PDF proof of your bronze house sign before we begin work. You won’t find this quality elsewhere. Please specify any special requirements on the order form – we can pretty much create anything! The order form is there for guidance, but if you’re not sure what you’re after or you have any questions, please ring us on 01307 463 997 or drop us a line at [email protected], there is always someone available to take your call and talk through your requirements or to offer helpful advice. 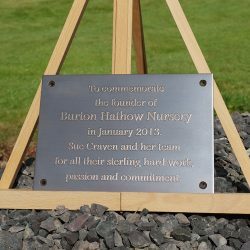 These Bronze Plaques are made bespoke to order using a high quality 3mm thick aged bronze. White and cream are the best fill colours for this metal to contrast the dark background. There is also the option for reverse etching where we etch away the background leaving the letters standing proud. 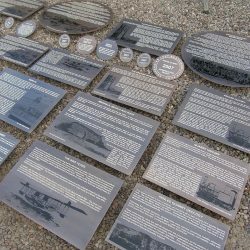 This product is the premium material for memorials and requires no maintenance. We patinate the bronze to a dark colour which ages beautifully over time.